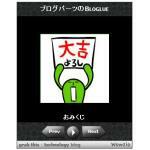 English version of the Tegaki Blog widget for all users who can't read Japanese. 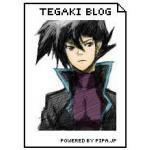 Tegaki Blog is a very well made picture diary blog with a focus on manga/anime type drawing. The drawing tool is easy to use and highly functional. Website has an English and Japanese version. You can get a widget to randomly show users drawings from the top page, or if you register, you automatically get code for your own page's art. Looking forward to see ICHI? The modern retelling of Zatoichi. Click on this widget a few times and see what happens.